The National Security Council, Old Executive Office Building, Washington, DC. 20506, Phone Number (202) 395-4974, was established by the National Security ACT of 1947 (61 Stat. 496;50 U.S.C. 402). President Truman signed the National Security ACT on July 26,1947 and immediately named Secretary of the Navy Forrestal as the first Secretary of Defense. Forrestal and others were sworn in September 17,1947. The ACT established “under the National Security Council” a Central Intelligence Agency headed at that time by “Director”, Rear Admiral Roscoe Hillenkoeter. It provided a comprehensive program for future Security of the United States, and the ACT created the NSC to advise the President with respect to the integration of domestic, foreign, and military policies relating to the National Security, with the special duty to “Access and Appraise the objectives, commitments, and Risks….”. The funds for the CIA were hidden in the annual appropriations for other agencies. Today, collectively, U.S. Intelligence Operations (almost totally clothed in secrecy) cost more than $1 Billion Dollars annually. MJ-12 is said to be a TOP SECRET Research and Development, Intelligence Operation established by President Truman on September 24,1947. MJ-12 was a “Committee” set up inside the NSC. In 1954, President Eisenhower signed the Secret Executive Order, “Order Number 54-12”. This committee has undergone several changes over the years, and since then, has been called the “SPECIAL COMMITTEE”, the “303 COMMITTEE” and currently the “40 COMMITTEE” and is represented as XXXX “the double – double cross.” It is described as the “Directorate” of the NSC. In early May 1988, the former President Ronald Reagan said he often wonders what would happen if the Earth was Invaded by a “Power from Outer Space“. It has also been reported that the President is briefed on UFO developments and “Alien Visitors, by Planetary Intelligence group #40 (PI-40). Operation Majority is the name of the operation responsible for every aspect, project and all consequence of Alien presence on Earth. Majesty was listed as the code word for the President of the United States for communications concerning this information. 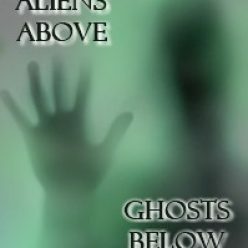 Grudge contains 16 volumes of documented information collected from the beginning of the United States investigation of the Unidentified Flying Objects (UFOs) and Identified Alien Crafts (lACs). The project was funded by the CIA, (confidential funds, non-appropriated) and money from the illicit drug trade. Participation in the illegal drug trade was justified in that it would identify and eliminate the weak elements of our society. The purpose of project Grudge was to collect all scientific, technological, medical and intelligence information from UFO & IAC sightings as well as contacts with Alien Life Forms. This orderly file of collected information has been used to advance the United States Air Force Space Program, (TOP SECRET). The society was made up of thirty two (32) of the most prominent men in the U.S.A.
MJ-12 is the name of the secret control group inside the Jason Society. The top twelve (12) members of the thirty two (32) members of the Jason Society were designated the MJ-12. MJ-12 has total control of everything. They are designated by the code J-1, J-2, J-3, etc. all the way through the members of the Jason Society. The director of Central Intelligence was appointed J-1 and is the Director of the MJ-12 group. MJ-12 is responsible only to the President of the United States. Believe it or not, MJ-12 runs most of the worlds illegal drug trade. This was done to hide funding and thus keep the secret from the Congress and the people of the United States. It was justified in that it would identify and eliminate the weak and undesired elements of our society. * The actual cost of funding the Alien connected projects is higher than anything you can imagine. It was the MJ-12 group who ordered the assassination of President Kennedy when he informed MJ-12 that he was going to tell the public all the facts of the Alien presence. He was killed (coup de grace) by the Secret Service Agent driving his car, (who fired the final and most critical shot) and it is plainly visible in the film, which has been held from public view, and the twenty two (22) material witnesses to the Kennedy’s murder died within two (2) years thereafter. MJ-12 has a special program for elimination of the considered weak members from U.S.A.’s society. The above, are just a few of the tactics which MJ-12 uses when they consider people Dangerous by knowing too much! A secret meeting place was constructed for the MJ-12 group in Maryland and was described as only accessible by air. It contains full living, recreational, and other facilities for the MJ-12 group and the Jason Society. It is code named “The Country Club”. The land for The Country Club was donated by the Rockefeller Family. Only those with TOP SECRET-MAJIC clearances are allowed to go there. All information, disinformation, and intelligence is gathered and evaluated by this Agency. This agency is responsible for all disinformation and operates in conjunction with the CIA, NSA, DIA, and The Office of Naval Intelligence. This is a very powerful organization and all Alien projects are under its control. MAJI is responsible only to MJ-12. MAJIC is the security classification and clearance of all Alien connected material, projects, and information. MAJIC = means MAJI controlled, (MAJI plus Controlled = MAJIC). NOTES: MJ-1 is the classification for the director of MAJI, who is the Director of the CIA and reports only to the President Other members of MAJI are designated MJ-2, MJ-3, MJ-4, etc. This is why there is some confusion about references of MJ-12, the group or MJ-12 the person. Designation in official documents about MJ-12 means the person only. It seemingly all began thousands of years ago, but for the purpose of this discussion, let’s start with some events that we all are familiar with. In 1947, two years after we set off the first nuclear explosion that our current civilization detonated, came the Cap-Mantell episode, where we had the first incident of a military confrontation with extra-terrestrial that resulted in the death of the military pilot. It is quite evident now that our Government did not know quite how to handle the situation. In 1952, the nation’s capital was overflown by a series of disks. It was this event which led to the involvement of the United States Security Forces (CIA, DIA, NSA, & FBI) to try to keep the situation under control until they could understand what was happening. This group was a working group, established by the Government, known as MJ-12. The MJ-12 group has been an existing group since it was created with new members replacing others that died. For example, when Secretary Forrestal was upset at seeing the United States sold out in World War II, he wound up being sent to a Naval hospital for emotional strain. Before relatives could get to him, he “Jumped Out a 16th Story Window”. People close to him consider his suicide contrived. When Forestal died, he was replaced by General Walter B. Smith. In December of 1947, PROJECT SIGN was created to acquire as much information as possible about UFOs, their performance characteristics and their purposes. In order to preserve security, liaison between Project Sign and MJ-12 was limited to two (2) individuals within the intelligence division of the Air Material Command whose role was to pass along certain types of information through channels. Project Sign evolved PROJECT GRUDGE in December 1948. Project Grudge had an overt civilian counterpart named PROJECT BLUE BOOK, with which we are all familiar. Only “Safe” reports were passed to Blue Book. MJ-12 was originally organized by General George C. Marshall in July 1947 to study the Roswell-Magdalena UFO crash recovery and debris. Admiral Hillenkoetter, director of the CIA from May 1, 1947 until September 1950, decided to activate the “ROBERTSON PANEL“, which was designed to monitor civilian UFO study groups that were appearing all over the country. He also joined NICAP in 1956 and was chosen as a member of its board of directors. It was from this position that he was able to act as the MJ-12 “Mole”, along with his team of other covert experts. They were able to steer NICAP in any direction they wanted to go. With the “Flying Saucer Program” under complete control of MJ-12 and with the physical evidence hidden away, General Marshall felt more at ease with this very bizarre situation. These men and their successors have most successfully kept most of the public fooled for at least 39 years or more, including much of the western world, by setting up false experts as real experts and throwing their influence behind them to make their plan work, with considerable success, until now. Within six (6) months of the Roswell crash on July 2, 1947 and the finding of another crashed UFO at San Augustine Flats near Magdelena, New Mexico on July 3, 1947, a great deal of reorganization of agencies and shuffling of people took place. The main thrust behind the original “Security Lid”, and the very reason for its construction, was the analysis and attempted duplication of the technologies of the discs. No single one of these groups were supposed to know the whole story. Each group was to know only the parts that MJ-12 allowed them to know. MJ-12 also operates through the various civilian intelligence and investigative groups. The CIA and the FBI are manipulated by MJ-12 to carry out their purposes. The NSA was created in the first place to protect the secret of the recovered flying discs, and eventually got complete control over ail communication intelligence. This control allows the NSA to monitor any individual through mail, telephone, telexes, telegrams, and now through on-line computers, monitoring private and personal communications as they may desire. Grudge contains sixteen (16) volumes of documented information collected from the beginning of the United States Investigation on Unidentified Flying Objects, (UFOs) and Identified Alien Crafts, (lACs). The project was originally established in 1953, by order of President Eisenhower, under control of the CIA and MAJI. In 1960 the project’s name was changed from project SIGN to project AQUARIUS. The project was funded by CIA confidential funds (non-appropriated). The project assumed full responsibility for investigation and intelligence of UFOs and/or lACs, after December 1969 when Project Grudge and Blue Book were closed. The purpose of project Aquarius was to collect all scientific, technological, medical and intelligence information from UFO and IAC sightings and contacts with Alien Life Forms. These orderly files of collected information have been used to advance the United States Air Force Space Program (not NASA). Aquarius is a project which compiled the history of Alien presence and their interaction with HOMO SAPIENS upon this planet for the last 25,000 years and culminating with the BASQUE PEOPLE (PAIS BASCO) who live in the mountainous country on the border of France and Spain and the Assyrians (or Syrians, originally from the Syrius Star). The preceding briefing is a historical account of the United States Government’s Investigation of Aerial Phenomena, Recovered Alien Aircraft, and contacts with Extra-Terrestrial Life Forms. Originally established as part of Project SIGN in 1954, its mission was to establish Diplomatic Relations with Aliens. This project was successful when mutually acceptable terms were agreed upon. These terms involved the exchange of technology for secrecy of Alien presence and non interference in Alien affairs. Aliens agreed to provide MAJI with a list of Human contacts on periodic basis. This project is continuing at a site in New Mexico. Originally established as part of Project SIGN in 1954. Became a separate project in 1976. Its mission was to establish communication with the Aliens. This project met with positive success (SIC). In 1959, the United States established primitive communications with Aliens. On April 25,1964 a USAF Intelligence Officer met with Aliens at Mollomar Air Force Base, New Mexico. The contact lasted for approximately three hours, after several attempted methods of communications the Intelligence Officer managed to exchange basic information with the Aliens. This project is continuing at a site in New Mexico. Originally established in 1954. Its mission was to develop, using conventional technology, and fly a “Flying Saucer” type craft for the public. This project was successful when a craft was built and flown in front of the PRESS. This project was used to explain UFO sightings and to divert public’s attention from project Redlight. Although better weapons are being developed every day, the following are a few of the originals created. GABRIEL is a project to develop a High Frequency pulsed sound generating weapon. It was said that this weapon would be effective against the Alien crafts and their Beam weapons. Specifications about the GABRIEL project shows high frequency microwave projections included. JOSHUA is a project to develop a Low Frequency pulsed sound generating weapon. The weapon was developed and assembled at Ling Tempco Vought in Anaheim, California It was described as being able to totally level any man made structure from a distance of two (2) miles. It was tested at White Sands Proving Grounds. It was developed between 1975 and 1978. It is a long horn shaped device connected to a computer and amplifiers. Ling Tempco Vought (LTV) has since moved from its Anaheim Facility which was near the Grand Hotel across the street from Disneyland. Specifications about the JOSHUA project show low frequency generated with microwave projection included. EXCALIBUR is a weapon to destroy the alien underground bases. It is to be a missile capable of penetrating 1,000 meters of Tufa/Hard packed soil, such as that found in New Mexico with no operational damage. Missile apogee not to exceed 30,000 feet Above Ground Level (AGL) and impact must not deviate in excess of 50 meters from designated target. The device will carry a one (1) to ten (10) Megaton Nuclear Warhead. The secret for a self contained missile ‘drill’ a vertical shaft over 1,000 meters deep consists in a energosintetizer macrowave deflector in the “Missile Warhead”. EBE is the name or designation given to the live Alien captured at the 1947 Roswell, New Mexico crash. He died in captivity. EBE means Extra-Terrestrial Biological Entity. GUESTS were Aliens exchanged for Humans who gave us the balance of the YELLOW BOOK At the onset in 1972 there were only three (3) left alive, now we have around 4,000. They were called Alien Life Forms (ALFs) or OBS. They have a big tendency to UE. YELLOW BOOK is all that we know about Alien technology, culture and their history. RELIGION – The Aliens believe in a Universal Cosmic God. The Aliens claim that MEN are Hybrids who were created by them. They claim ail religion was created by them to hasten the formation of a Civilized Culture and to control the Human Race. They claim that JESUS was a product of their efforts. The Aliens have furnished proof of their claims and have a “device” that allows them to show audibly and visually any part of History that they or we wish to see. ALIEN BASES exist in the four comer areas of Utah, Colorado, New Mexico and Arizona Six bases were described in 1972, all on Indian Reservations, and all in the four corner area. The base near Dulce was one of them, also bases at California, Nevada, Texas, Florida, Maine, Georgia and Alaska. CRAFT RECOVERIES – The documents stated that many craft had been recovered. The early ones from Roswell, Aztec, Roswell again, Texas, Mexico and other places, which will be discussed later. ABDUCTIONS were occurring long before 1972, early civilizations refer to these incidents. The document stated that humans and animals were being abducted and or mutilated. Many vanished without a trace. They were taking sperm and OVA samples, tissues, performed surgical operations, implanted a spherical device, (40 to 50 microns in size near the optic nerve in the brain) and all attempts to remove the device have resulted in the death of the patient. The document estimated that one (1) in every 40 people had been implanted. This implant was said to give the Aliens total control of the Human. We confirmed in 1989, the existence of Alien crafts at a hangar on Edwards Air Force Base. The hangar is at North end of the base. It has been guarded by non-Edward’s personnel, who are NRO-DELTA personnel. The guards wear a badge that is red with a black triangle on the face of the badge. No one was allowed near the hangar without this badge. The NRO-DELTA personnel are no longer guarding the hangar, Edwards security forces are are guarding it now, and they are instructed to check the hangar each hour and report the status NRO. In addition, they have been instructed never to enter the hangar, even if it has been broken into. The hangar is still locked and no one is allowed inside without special authorization from NRO/DELTA. We also have confirmed the existence of Alien Materials at another Special hangar at Edward’s AFB. The badge insignias that are on some Alien crafts and Alien Flags, is called a TRILATERAL INSIGNIA (TRIADE). Marks bases and Landing sites. LUNA-2 – Code name for the location of the second most important underground Rigelian base in New Mexico. The base is Alien controlled and NRO, DELTA, and Alien protected. Luna is ongoing. FAR SIDE OF THE MOON – Is the term used in reference to inside LUNA-2. The LUNA-2 underground base, UFOIogists and some other various people who have stumbled upon this term have a misunderstanding and believed that it was a reference to LUNA-1, the moon base. MJ-12/NSA will go to any length to preserve and protect the ultimate secret, as we will see later, the characteristics of what this ultimate secret would turn out to be would change drastically for it was something even MJ-12/NSA could not predict, actual contact with Alien groups. How the actual contact between the government and Aliens was initially made is not known at this time, but the Government was made aware that it could be done by an Alien using the right equipment.